I’m not going to lie. I’m a fan of Trisha and I think she is hilarious. Watching her on a variety of Youtube channels, I think she knows and is a little embarrassed that she bought an older Gallardo. She got a little ahead of herself after seeing all of Jeffree Stars cars and she wanted to be a cool kid too. Either way, I’m happy to see her spending money and buying cool cars. Scott Disick is at it again! Scott’s never been one to stay with the same lineup for too long (meaning usually not for more than a few months) so it’s about time he change it up. 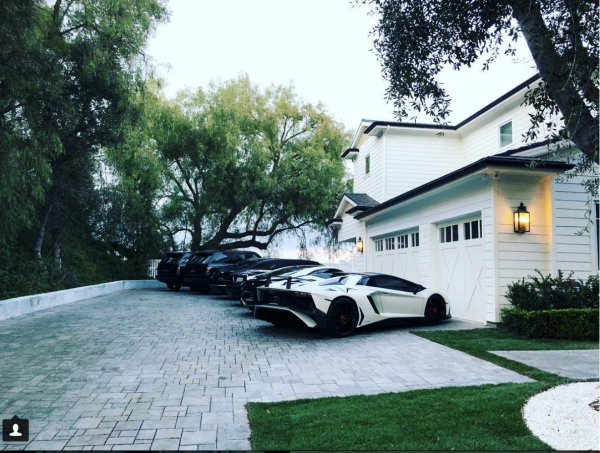 Scott’s stepped it up this time but adding a clean white Lamborghini Aventador SV to his lineup! I’m obsessed with Scott’s lineup and so the SV was just the icing on an already amazing cake. Who else is glad to see more celebrities getting SV’s these days? 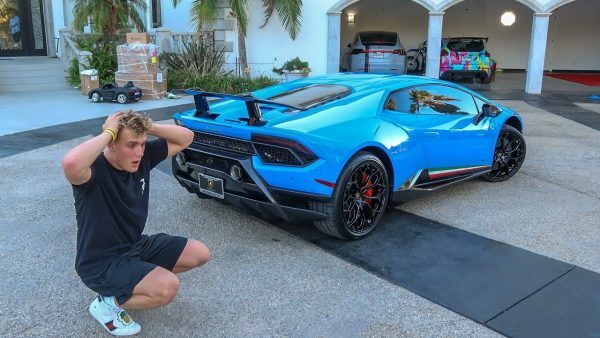 Does Jake Paul really deserve a Lamborgini Perfomante? I mean at the end of the day he is basically a bully to his “paid” friends? None the less, his choice of cars is sick and it’s actually pretty funny how he was treated by Lamborghini Corporate. In the end, he still bought the car. 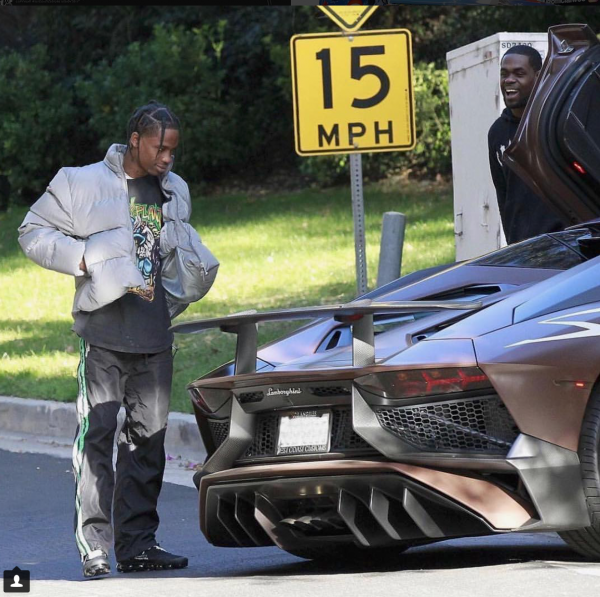 Last time we checked in with rapper and Kylie Jenner’s baby daddy, Travis Scott, he was in a polarizing orange 488. 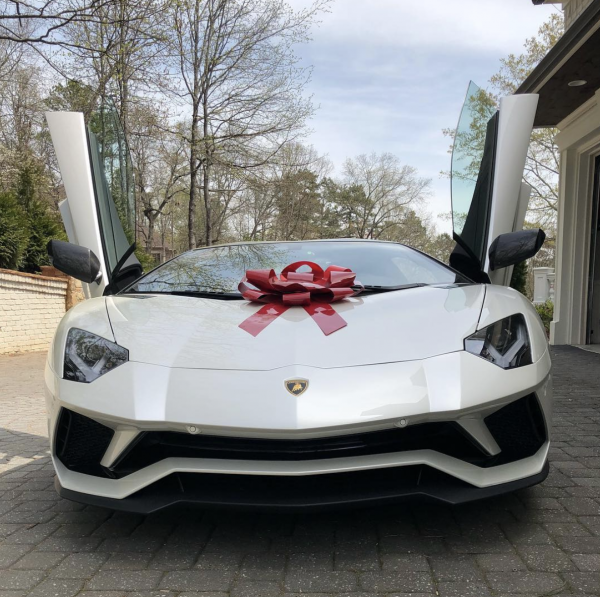 It looks like he’s got a thing for sports car because this time around, we’ve spotted him with his new Lamborghini Aventador SV. West Coast Customs shared on their Instagram that they’d just finished customizing it for him and although it’s difficult to tell exactly what color it is, I’m pretty sure I’m liking it.